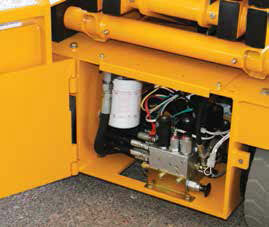 Battery additive helps some rental companies save maintenance and replacement costs. 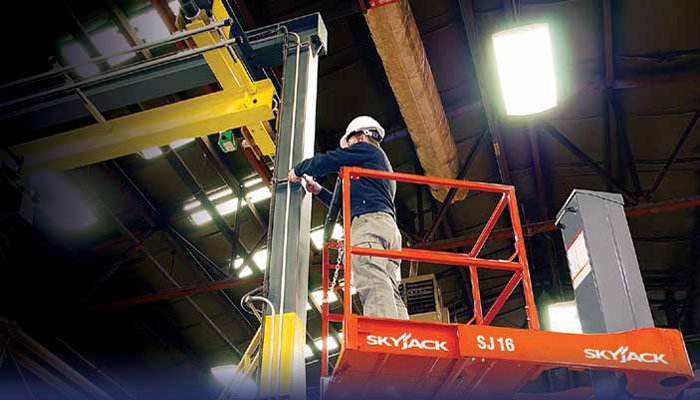 Equipment rental fleets often find that users have not properly maintained the aerial lifts’ batteries. When a lead-acid battery’s posts corrode, damage can spread like cancer through the aerial lift’s electrical components. The corrosion destroys the battery cables and weakens the battery. As the voltage drops, the amps increase, impairing the machine’s switches and relays. If you want your electric boom or scissor lift to remain in prime condition, keeping the batteries healthy is sage advice that seasoned service technicians give. In the rental equipment industry, however, maintaining batteries can be easier said than done. Watering the batteries per the manufacturer’s recommendations is often left up to the user. Depending on the diligence of the user or field service technicians, batteries may receive very little maintenance while a machine’s on rent. “Our rental customers are supposed to check the batteries and keep them full of water, but they rarely do,” says Lenny Beck, parts and supplies manager for R.B. U’Ren Equipment, an equipment rental company with locations in Niagara Falls and Rochester, N.Y. Lack of steady watering, proper charging, or regular equalizing can bring on corrosion and sulfation, which will shorten battery life. He notes that parts wear out if the machine isn’t charged properly, and components like contactors, switches, gauges, and motors may be damaged in addition to the battery when a machine comes off rent. “With the lifts we are renting, you usually get a lot of corrosion on the relays and circuit boards in the area,” Beck says. Rental companies have to absorb the cost of new batteries and replacement electrical components. The expense of these replacement parts has some equipment owners looking for ways to extend battery life. One option is Thermoil Battery De-Mister, a battery additive that reportedly reduces water consumption and acid misting in order to cut down corrosion, keep proper electrolyte chemistry, and help owners get the full life from their batteries. 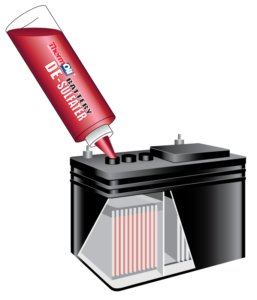 Lead-acid battery electrolytes are about 35 percent acid and 65 percent distilled water. When the battery is charged, a chemical process breaks down the water into oxygen and hydrogen, an explosive gas. Acid particles mixed with the gases are carried out of the tops of the battery vent tube wells. Over time, acid particles gassing from the battery will corrode the posts and cause the battery to take longer to charge. The longer the batteries resist charging, the more internal heat is created. This heat can speed up damage to the plates and lead to premature failure. The Battery De-Mister additive floats on top of the water and battery acid. The oil in De-Mister increases the recombination of the hydrogen and oxygen gases. If a battery using Battery De-Mister becomes overcharged, the hydrogen and oxygen gases rising to the top of the electrolyte are slowed by the oil, which stops the acid mist and reduces the fumes generated by charging. The oil condenses the hydrogen and oxygen gases, returns the water molecules into the cell, and eliminates the sulfuric acid mist from being forced out of the vent during charging. Beck says because the water is not evaporating, U’Ren Equipment hasn’t had to add water to the batteries with De-Mister as often. Beaupre says when his company started using Battery De-Mister, he wanted to get one more year of life out of its batteries. “We figure, on the average, three years for our batteries to run in a machine before we have to change them,” he says. “Add one year, and that’s 33 percent savings on our batteries.” Not only has it saved on replacement batteries and parts, but it also has reduced the amount of machine downtime for service, which keeps Beaupre’s customers working. He notes that Battery De-Mister and a diligent service regimen have helped maintain the batteries, reduce maintenance costs, and cut down on service calls. Battery De-Sulfater is a non-acid chemical formula that Fellner says will dissolve the “concrete crust” and restore normal action in the cells as long as the battery is taking a charge. “It usually takes four or five cycles to dissolve all of it, but it will usually bring your battery back,” he adds. Gooding sees it as a good financial opportunity for equipment owners who have a choice of buying new batteries or giving Battery De-Sulfater a try. “It’s cheaper than putting four new batteries in,” he says. In his personal experience, Gooding has used the additive in a tractor that had a dead battery after sitting outside all winter. “It fired right up,” he says. Even batteries that have been maintained properly will weaken with age and eventually die. Fellner likened a battery’s life to a car’s engine. “When it is new, it has a lot of power and doesn’t burn oil,” he says. After 200,000 miles, it will burn oil and lose power as it nears the end of its life, he says. A deep-cycle battery will weaken with age and start to use more water at the end of its life, he adds. However, more than 90 percent of batteries don’t come close to living their full life, says Fellner. While Fellner makes a point to say that Battery De-Mister helps equipment owners get the full life from their batteries, he says the product will not increase the number of life cycles. The maximum number of life cycles is dependent on the batteries and how they are manufactured, he adds. Fellner acknowledges that using Thermoil products may void the battery OEM’s warranty. However, he quickly notes that if a battery fails because of conditions his products help prevent—low water, corroding, or sulfation—its warranty will likely be void anyway because the battery has been misused and neglected. Fellner adds that Thermoil products are guaranteed 100 percent. For some owners with warrantied batteries, the lowered maintenance costs and repair costs have them sold. Bill Steinman, equipment service manager of Beaupre, is a believer. “The one battery in several hundred batteries that we would have to warranty,” he says, “wouldn’t compare to the cost of what we’ve saved using Battery De-Mister.” Ninety percent of Beaupre’s fleet uses Battery De-Mister, and several hundred of its customers are on board with the product, Steinman says. “It’s not a gimmick,” he adds. 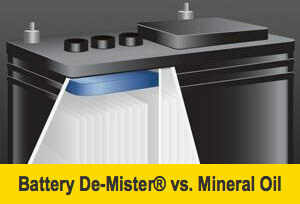 To those uncertain about the product’s effectiveness, Fellner says to add Battery De-Mister to half the batteries in a machine and see whether there is difference in corrosion or water retention. 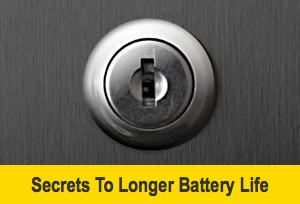 “When batteries are hooked in a series, they have to charge and discharge identically,” he says. Because the batteries will be identical in make, age, and size and are subjected to the same charge and discharge conditions, the test will show how the product stacks up. 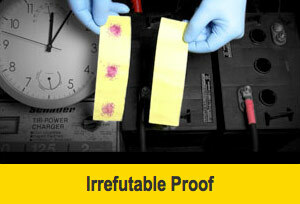 Battery additives are one way rental companies are overcoming the challenge of improperly maintained batteries. Beck notes that although there is a cost in using Battery De-Mister, R.B. U’Ren is saving money overall from reduced maintenance and replacement costs.